So you’ve got the partner of your dreams and getting hitched is officially on the cards. First things first: Scoring that swoon-worthy rock to accompany that perfect proposal. 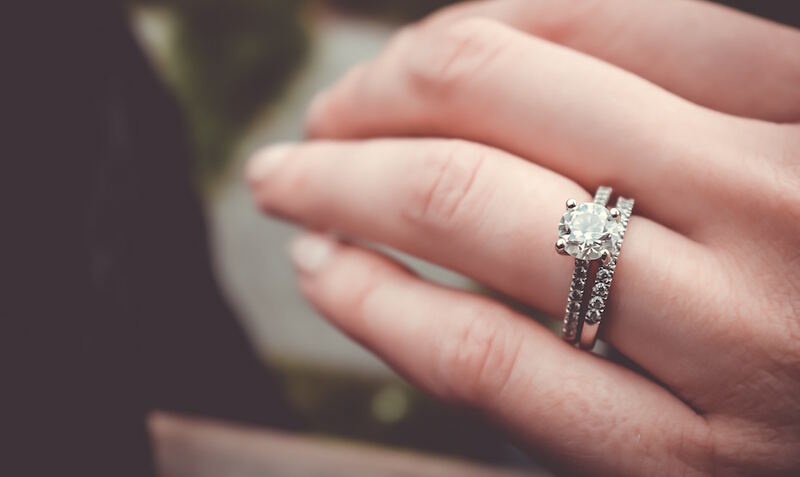 To help you on your way to finding your dream bling, we’ve listed all the best jewellery stores according to ring type. You’re welcome. Natalie Marie Jewellery will turn the staunchest of diamond lovers into converts. 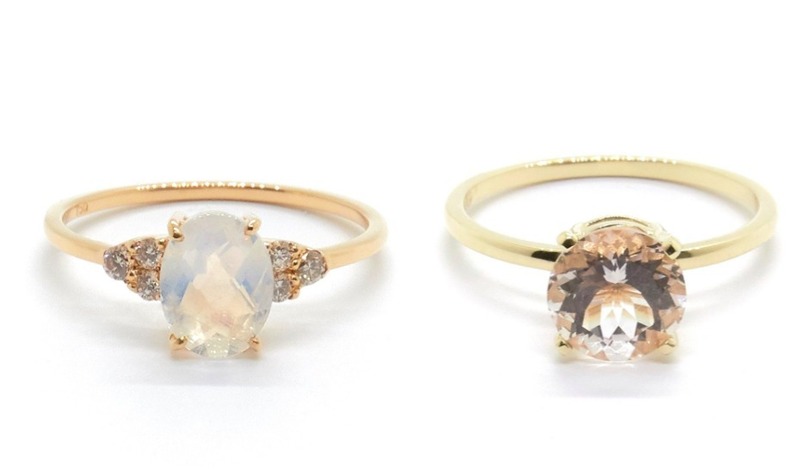 The Aussie designer creates the dreamiest and most delicate gemstone rings – think breathtaking pink pastel morganite solitaires on a flat-edge band for easy stacking and pear shaped rutilated quartz flanked by diamonds.The only downside? Natalie Marie isn’t Singapore-based, so you’d have to get it shipped in via Australia Post (or, here’s your excuse to make a little trip to Sydney!). A handful of our girlfriends are the proud owners of Canary Diamond rings, so we know these guys are doing something right. You can expect a massive selection of rare gems here, including Burmese rubies, Columbian emeralds, complemented by the finest platinums and golds. You’ll love Choo Yillin if one, ordinary bling isn’t your thing, and two, you prefer telling a story through your ring. 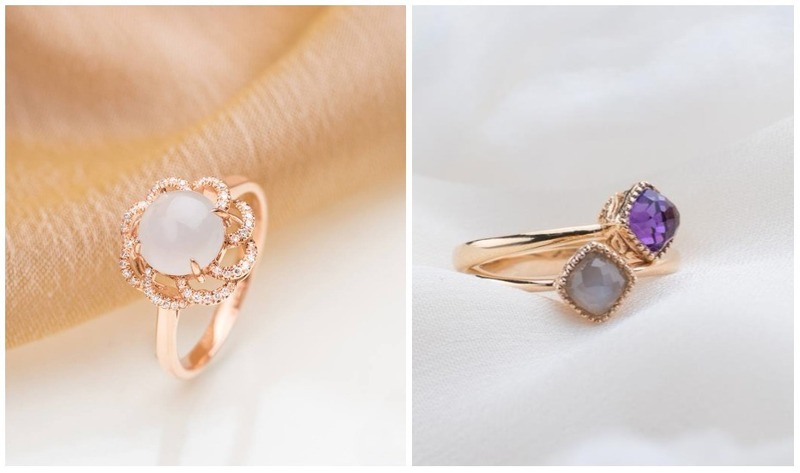 Singapore’s only jade designer specialises in Type A Burmese jadeite and semi-precious gemstones (like sapphires, rubies, and spinels) to create bespoke rings without the crazy mark-ups of international brands. Its track records include rings which incorporate Peranakan or heirloom designs, so you’re looking in the right place if history and heritage is your thing. 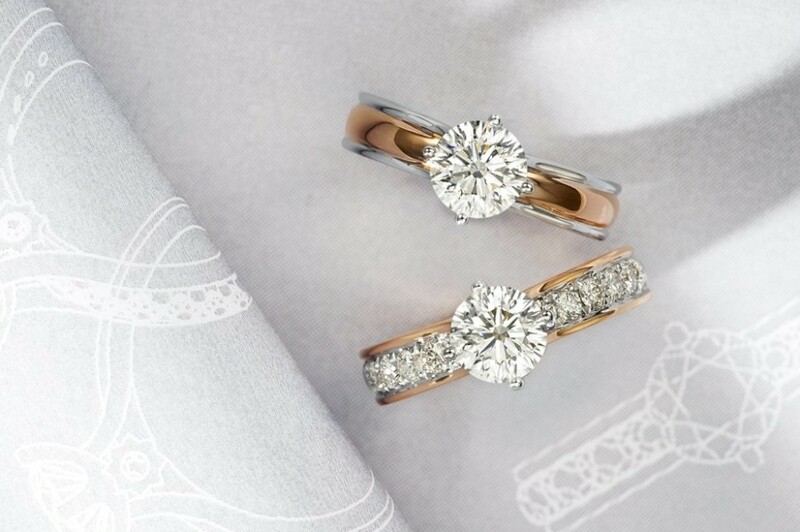 Want a ring that truly stands out? 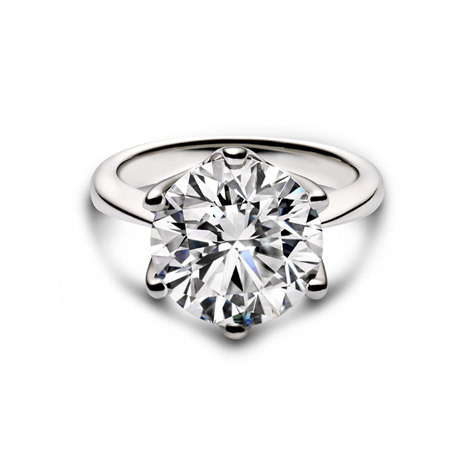 Give the classic diamond solitaire a miss. Love Adorned has some of the most beautiful, alternative rings we’ve ever seen. Take this otherworldly full cut salt and pepper diamond ring and this bold yellow gold number with square edges and and an off-centered diamond. 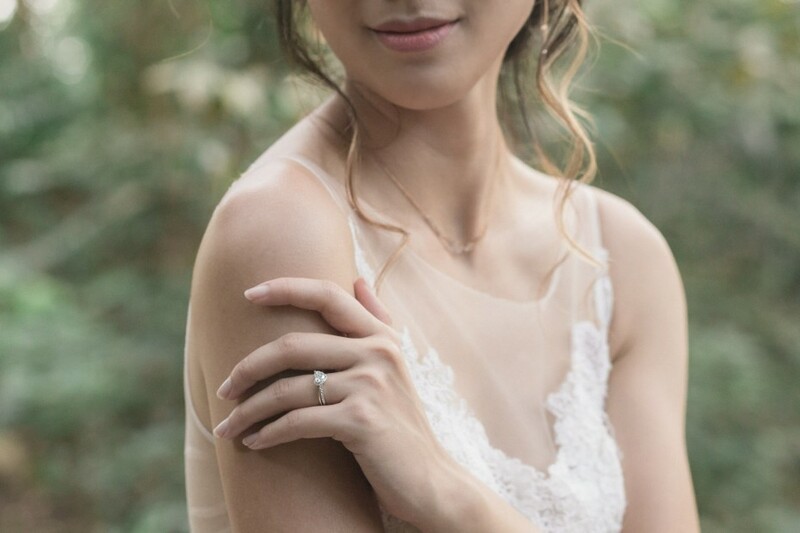 We promise you you won’t find anyone else in Singapore with your ring. 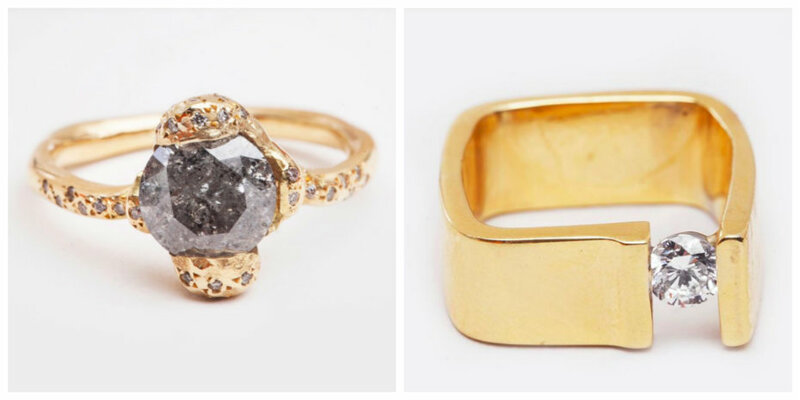 Vintage (and vintage style) rings your thing? . Stephanie Windsor Antiques boasts one-off treasures that’ll set your hearts aflutter. 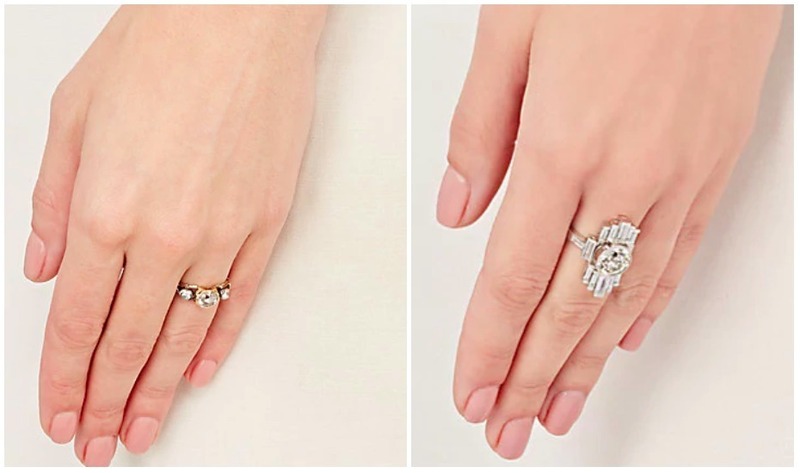 The Manhattanite brand is home to remarkable Art Deco rings (this one has an old cut diamond at its heart and is flanked by baguette white diamonds) and Victorian-era rings with decorative cutouts and intricate arrangements. They call themselves a ‘jeweller for the strange folks’: curious?. Check out its Instagram page – amongst the antique gems are the occasional oddity, y and some out-of-this-world captions. But back tothose rings don’t. 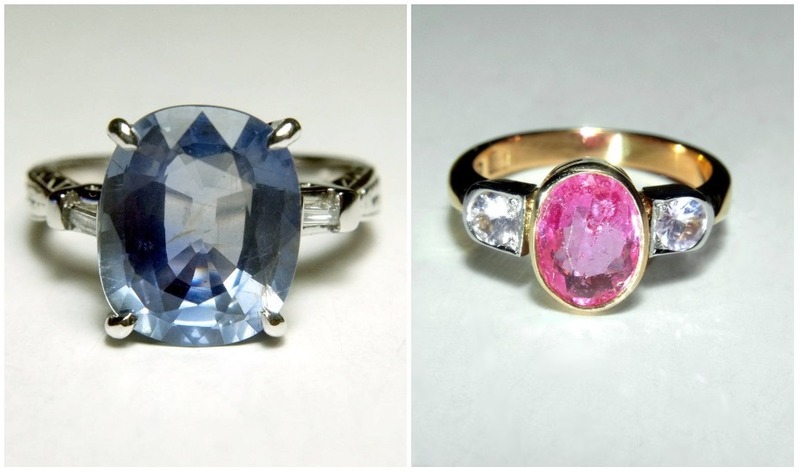 Gemstone aficionados will appreciate the mid-century style blue sapphire rings, and Art Deco style unheated (this makes it more precious) Sri Lankan pink sapphire rings. Tiffany & Co’s distinctive blue boxes and six-prong diamond ring setting have been the subject of women’s fantasies for over a century. The Tiffany Setting ring is unparalled; thanks to impeccable design, the six-prong setting disappears under the brilliant diamond. While patinum is a classic, rose gold is a touch more modern, while the yellow is perfect for traditionalists (this one has my heart!). Founded in 1847 by jeweller Louis-François Cartier, Cartier is known for providing exquisite jewellery to royalty in Spain, the United Kingdom, Portugal and more. It’s also the frontrunner of elegant design, having been the first jewellery to include Art Deco elements in 1906, as well as created popular styles like the baguette cut and their signature panther motif. Their timeless cuts and refined silhouettes are perfect for brides who adore elegance. 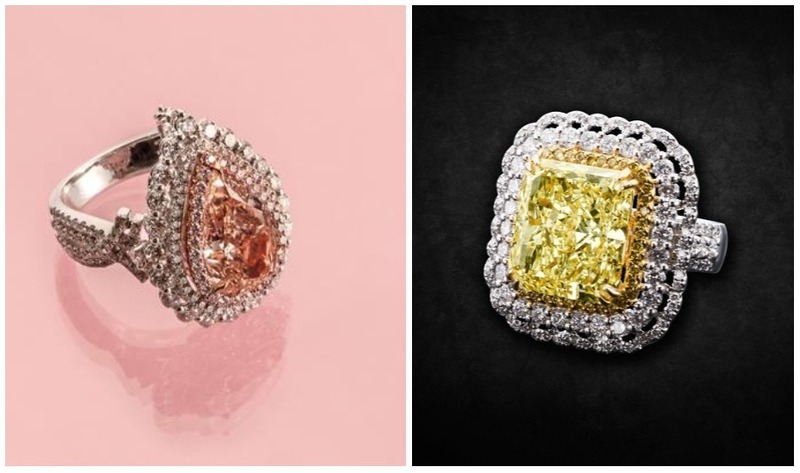 With a legacy in producing exquisite rings – such as the legendary 40.42-carat Lesotho III given to Jacqueline Kennedy – Harry Winston’s wedding collection has a vintage flair and delicate split prongs that won’t draw attention away from the lustrous, magnificent stone of your choice. Harry Winston, #02-19 ION Orchard, 2 Orchard Turn, Singapore 238801, p. 6883 9509. 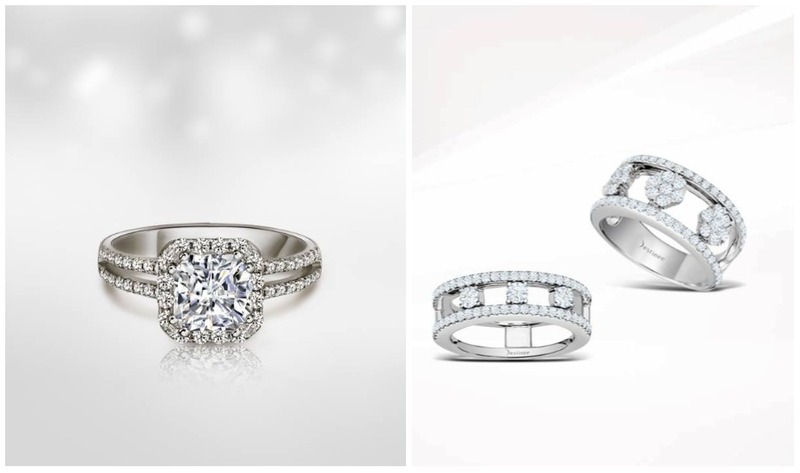 This local jeweller offers spectacular rings in a bevy of styles – think three-stone, glittering pave settings and classic solitaire. If you love the idea of creating a unique ring with minimal fuss, it only takes three steps here. This includes choosing your diamond according to cut, clarity and carat and your ring’s setting. Michael Trio, 91 Tanjong Pagar Road, Singapore 088512, p. 6299 0110. 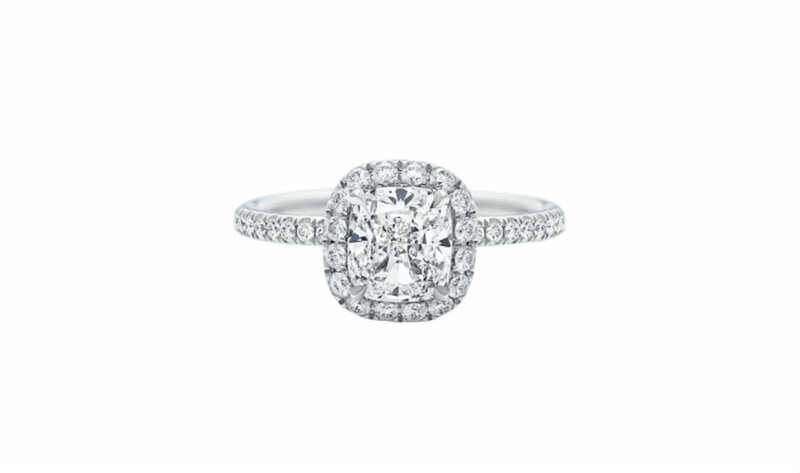 The world of engagement rings is a bewildering one, thanks to the thousands of selections available in the market. To guide you along, Gioia offers a non-obligated online advisory so you can decide what type of rings (gemstones or diamonds for instance) are best for you or your partner. Bespoke rings here range from gemstone (ruby, sapphire, emerald, spinel and paraiba tourmaline) to diamond ones. Fun fact: Goldheart Jewellery was the first bridal jeweller in Singapore. Today, it continues to be a pioneer in the industry – it’s the exclusive purveyor of the Celestial diamond: the world’s first 73 facet starburst diamond. You’ll be seriously spoilt for choice as these guys have got everything from solitaire diamonds set in intricate pave bands to rings with a small sapphire embedded on the inner surface to symbolise that ‘something blue’. Goldheart Jewelry, various locations including #B2-65 ION Orchard, Singapore 238801, p. 6509 8832. Lee Hwa Jewellery is where you’ll find Forevermark; beyond the 4Cs, these diamonds are responsibly sourced and unique; only 1% of the world’s diamonds are marked with it. Another signature diamond to have is the Destinee. These are ideal-cut, and have an incredible brilliance thanks to its precisely cut 57 facets (instead of the usual 58). By excluding the bottom facet, what you’re getting is a diamond that does not lose any light and faceted at the girdle to attract more light. Couple this with its signature white and rose gold bands. Lee Hwa Jewellery, various locations including #02-06/07 Wisma Atria, 435 Orchard Road, Singapore 238877, p. 6376 0266. Tradition takes centerstage at Poh Heng Jewellery. 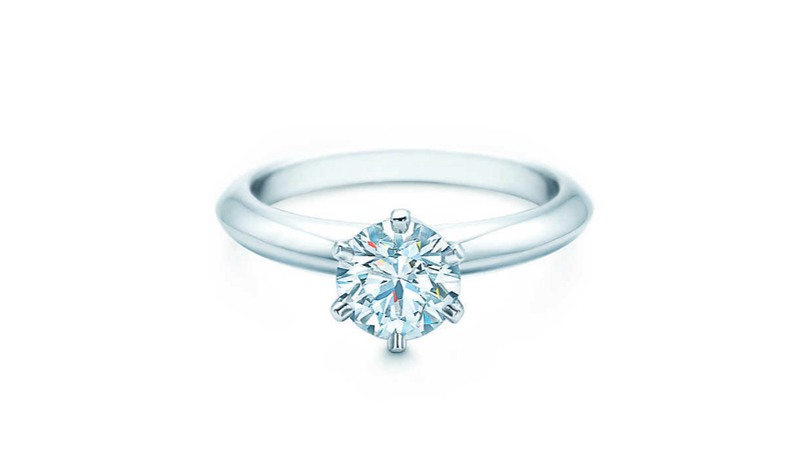 Last year, the brand welcomed the Trust Diamond: a premium solitaire line which includes a spellbinding 5.50 carat diamond. Besides timeless engagement rings in white or yellow gold, they also offer an entire range of si dian jin – a customary four-piece set of precious gold jewellery that is given to the bride by the groom’s mother. Poh Heng Jewellery, various locations including #01-04 City Square Mall, 180 Kitchener Road, Singapore 208539, p. 6509 3303.